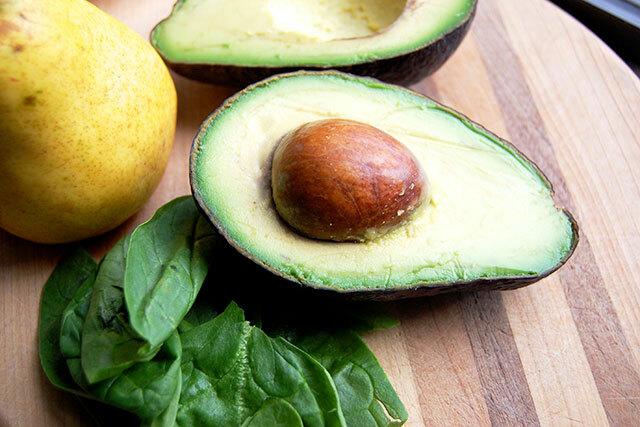 Avocado in a smoothie might not have been your first idea when thinking up ingredients. Some people even give me a funny look when I tell them about adding avocados to smoothies. It’s not like you are drinking an avocado, because I agree that would be strange. 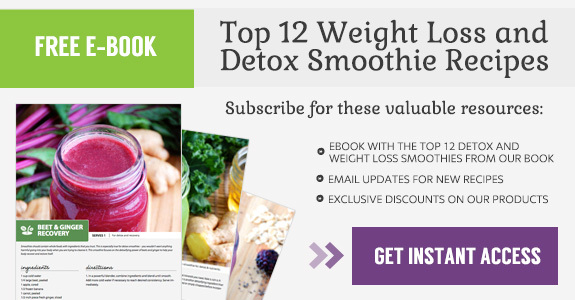 Instead it makes smoothies wonderfully creamy and smooth, without overpowering the taste. 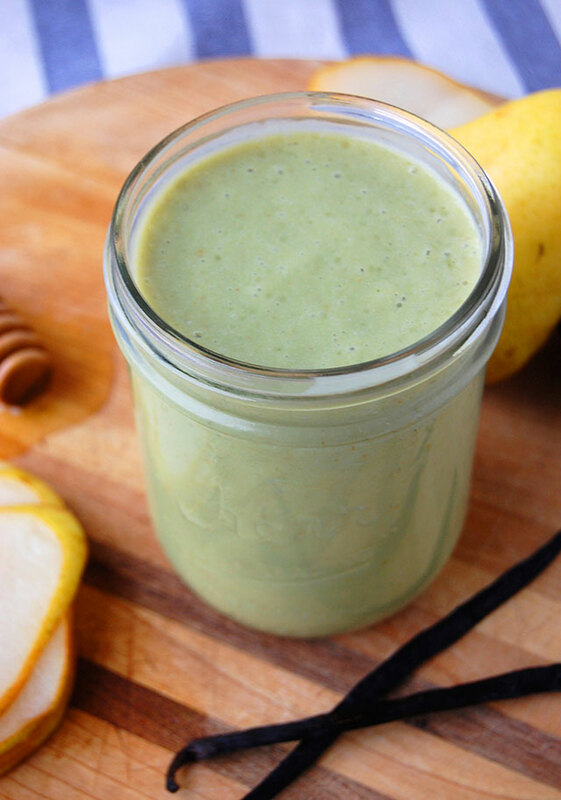 In this recipe the avocado works with the pear and honey to create a sweet, lush drink. If you are not able to have dairy, avocados are a great substitute. A lot of smoothies include yogurt to make them creamier, but instead you might be able to use this healthy fruit. Avocados will also keep you feeling fuller longer because they are high in fiber and healthy fats. Therefore I prefer to have this in the morning as a breakfast avocado smoothie. Sometimes you pick up an avocado at the store but it isn’t ripe enough to put into your smoothie. So here’s a little trick- avocados actually ripen faster if you store them in a brown paper bag with a banana or an apple. This traps the gas produced by the fruit and speeds up the process. So you can enjoy your smoothie sooner. This drink will provide you with an excellent source of potassium and vitamins A, C, E, and K. An avocado actually has almost double the potassium as a banana. They are a good source of protein, so vegetarians take notice. The antioxidants found in the fruit also reduce the signs of aging, and the fruit helps prevent heart disease. 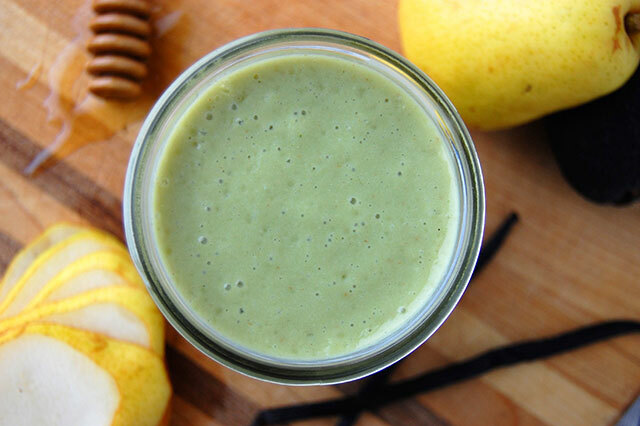 Try an avocado next time you want a creamy smoothie. You might be surprised at the silky texture and luscious flavor. 1. In a large cup (if using an immersion blender) or a blender, combine ingredients and blend until smooth. Add more skim milk if necessary to reach desired consistency. Adjust honey to taste. Serve immediately.